Great news for our senior anglers, in addition to our popular ‘Senior Tuesday’ we are now adding a ‘Senior Thursday’ for the rest of the Summer season. On these days anglers over 65 can take a 2 man boat for £19 or a single man boat for £14. Anglers at Rutland Water are enjoying the benefits of the cooler, unsettled weather this week with good sport in the Main Basin and the South Arm. Dave Porter, a member of Rutland Water FlyFishers, took 12 fish in the main basin on a midge tip and hoppers. Rudder anglers have been catching on Di5 and Di7 lines with tubes. Anglers have also been reporting fish in the top three feet of water. Rutland Ranger Nigel Savage had 8 fish from the bank at Fantasy Island and Sykes Lane on hare’s ears. Nigel spotted groups of 5-10 Rainbows regularly passing through his swim. Other flies worth trying are diawl bachs and dries such as bob’s bits and hoppers. Andy Needham fished for a few hours from the Harbour wall on Sunday evening and caught his personal best Brown – a lovely specimen of 4lb 9oz. The best boat areas are Old Hall Bay and Berrybutts to Gibbets Gorse in the South Arm. The best areas in the Main Basin are Whitwell creek to Stockie Bay, the Tower to V Buoy and the middle of the dam. In the North Arm head for Tim Appletons. Don’t forget our sunset bank and boat offer. £10 sunset ticket 1 fish c&r and sunset boat £10 from 4.30pm. Lincolnshire angler Sean Hillaby won the free midweek boat prize for best fish on the night with a 2lb 8½oz Rainbow. Rich Copper was a clear winner on the night with 8 fish. Neil Squires took second place and Gary Cooper was third. Rich has now gone storming into the lead with a total of 74 points followed by Keith Jones with 51 points and Neil Squires in third place with 36 points. A number of boats have already been booked to fish this popular pairs boat competition. It’s a ‘relaxed’ loch style drifting competition with a NO fly size restriction. It’s the usual prices, with an additional £5 per person to go towards prizes. Match hours are from 9am to 5pm. Mid week boat winner J Kitchen of Thorney. This pairs match starts at 9am fished to relaxed competition rules. 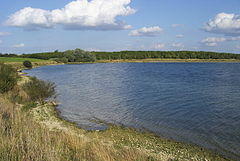 Grafham Water’s rod average is 5.3, which is outstanding for the time of year. The recent wet, blustery conditions have seen the fish on the feed. Some of the best catches this week include a lovely fish of 3lb 9oz taken by Mr Totalo during the AWAI southern final. The best Rainbow of the week went to Charles Hezilt who took a cracking 3lb 14oz specimen. Congratulations to Mr Faux on his lovely personal best brown of 4lb 3oz – this was the best fish of the week. Boat anglers are continuing to find fish around the weedbeds, open water drifting and in the clearer bays. However, there has been a return to form for the dam, Plummers, Gaynes Cove and the Willows. Fast glass in the wave with boobies or blobs has been working particularly well, pulling quickly and on the drift. Clear water is the absolute key to landing a good haul with some anglers landing as many as 20 plus fish. This includes Mr Grove who managed a fantastic 25 fish on his day out. Currently in the overcast conditions fish can be found in the top couple of feet of water and are chasing flies readily. Bank fishing is definitely improving, particularly the dam. Plenty of anglers have had a great level of success with high returns coming in daily. Shrimp, nymph and fry patterns are the best method for the dam, with floating lines the most popular. Some good fish are being landed well over 3lb and some are edging up towards the 4lb mark. 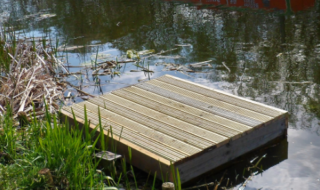 Other areas fishing well include Pylon Point, Hedge End, Hill Farm and the Marlow arm. Grafham Water has hosted a number of matches this week. Martin Brocklebank has kindly submitted a report on the recent match between GWFFA, Invicta and East Midlands Flyfishers. “The weather was kind and fish showed all over the west end of the lake, but they were difficult to catch and often plucked at the fly. When the sun came out those fish out across the middle disappeared. Some anglers opted to fish the edges of the weedbeds. There were some nice fish feeding on snail and pin fry and some fish were caught in the late morning. After lunch most anglers were fishing in Valley Creek to the nature reserve and round Rainbow Point to Savages. Fish were caught on damsels, snail patterns and nymphs. A superb lunch was provided by the Invicta Club which made for a great day out. Thanks Invicta”. It was a close result with Invicta taking 24 fish for 55lb 14oz and GWFFA 24 fish for 54lb 1oz. Paul Heavens of Invicta took the best fish – a 3lb 9oz Rainbow. Many anglers had travelled a long way to fish in this match and practice days. The best fish weighed 3lb 9oz and was taken by Rob Toptalo fishing for Bewl Chingley Chompers. Peter Kempton of The Whakapapas took the best bag for 24lb 5oz. 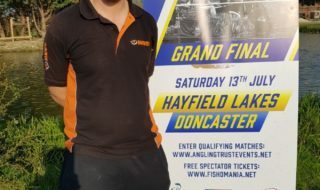 The results are as follows with the top three teams fishing in the International Final and fourth and fifth placed teams qualifying for the Grafham Water Championship. Best Rainbow 3lb 14oz taken by Mr Hezilt. Best Brown 4lb 3oz taken by Mr Faux. 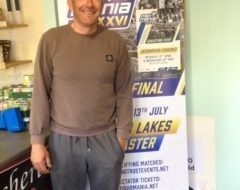 Mid week boat winner Mr R Gilks of Irchester. Beginners courses 28 & 30 July; 5,11,20 & 26 August; 17,23 & 27 September and other dates throughout the season. Most fish have come to the boat anglers in the Main Basin using a variety of lures and nymphs, with many reporting finding fish 4-5 feet down. Bank anglers have found fish early in the morning and in the evening, fish are being caught close in on shrimp. As in previous seasons during July and August anglers are permitted to lure fish for trout. This has been particularly popular again this year, and it is easy to see why with many anglers catching their 8 fish limits. Predator anglers are catching plenty of Pike with multiple catches of over 10 fish a day not uncommon. On Sunday evening a Pike of around 17lb was caught. Several Perch of around 3lb have also been reported. We commenced erosion improvement work at Pitsford recently and this is scheduled to last for 8 weeks, starting around the North Bank (Cliffs). Please take care adjacent to the construction sites. Best boat areas Main basin and Boils. Mid week boat winner John Gamon of Whitchurch. Beginners courses 29 July; 13,18 and 24 August; 9,15,20 & 30 September and other dates throughout the season. Fishing has varied this week according to the weather conditions. The warmer temperatures and light winds early last week saw fish taken on dries. In the cooler, overcast conditions mid week fish were caught on FAB’s and crunchers, daddies and buzzers. From Friday onwards fishing improved with Arnold Haddon and his son taking 12 fish to the boat on Shipmans. One of the best specimens this week went to David Brady who caught a lovely fish of 6lb. Grafham FlyFishers enjoyed a dry fly only trip to Ravensthorpe, (with lots of follows and swirls) followed by a barbecue. Best Rainbow 6lb taken by David Brady. Best boat areas Platform 12 and top bank. Best bank areas Main Bowl, Coton End. Mid week boat winner Norman Rushton.